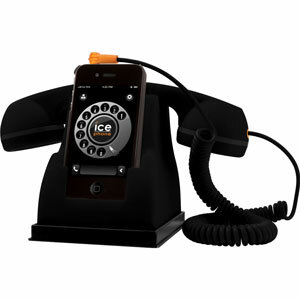 Calling will never get more comfortable then with the Ice-Phone Retro Handset. By simply connecting the 3.5mm jack into your headphone port you can transform your SmartPhone into a sleek Retro handset. You don't just get the phone, but a stand where to lace your SmartPhone and the receiver to give a truly authentic looking phone. Both handset and stand have been designed in great tactile rubberised material to give a soft touch. The Retro handset doesn't just look good, but clarity of conversations will be greatly increased by removing any distortion or fuzz. 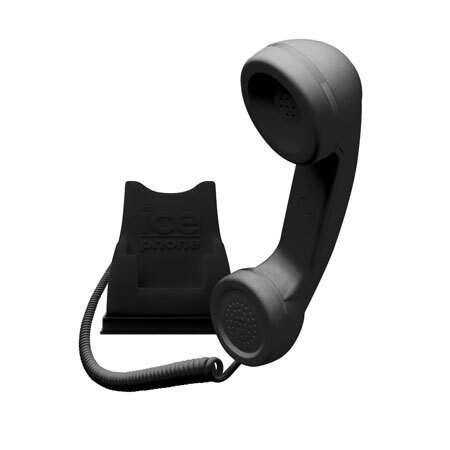 The Ice-Phone Retro Handset doesn't just have to be left at home, both SmartPhone and handset can be easily placed into your bag to give you perfect clarity. This is great when your in a loud busy environment such as the office and you wish your mobile phone was easier to hear. The level of radiation that people are subject to when using mobile phones has always been a controversial topic. The Ice-Phone Retro Handset eliminates almost 100% of the absorbed radiation to the brain, so the user can have peace-of-mind when using their phone for long periods. The Ice-Phone Retro Handset is perfect for users who rely on Skype day-to-day. 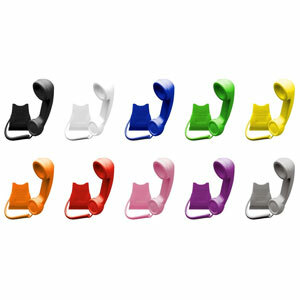 Together with skype and the Ice-Phone Retro Handset you can turn your mobile phone into a free phone handset.